Does this look like a happy face? 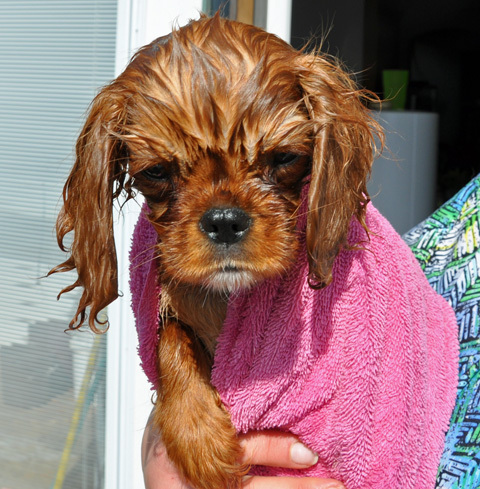 Actually, I was pleasantly surprised to find that she didn’t seem to mind getting bathed in the kitchen sink. She just stood there quietly and when it was all over she climbed into the towel to get dry. Now she smells like a combination of lavendar and rosemary. Very smoochable. Of course, as soon as she was dry she went outside and starting digging in my vegetable garden. I think we are going to have to put up a Tilly-size fence to keep her out. I was thrilled to discover that spring may have finally sprung. 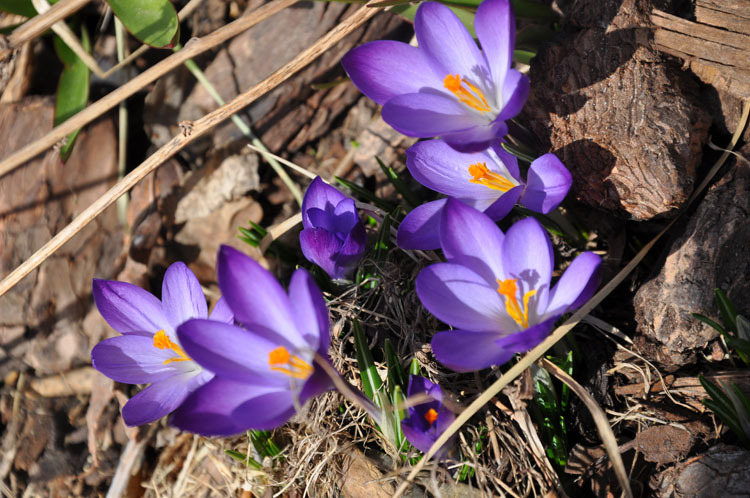 I noticed that I have some beautiful crocuses blooming. I just love the first sign of spring. I look forward to going out into the garden each morning to see what is peaking up out of the cold ground. You are welcome to view my own dog Tilly-Miss from England who has a liking for golf balls. Tilly has the look that my Kirra has after a bath and the need to find something to massage in – usually outdoors.